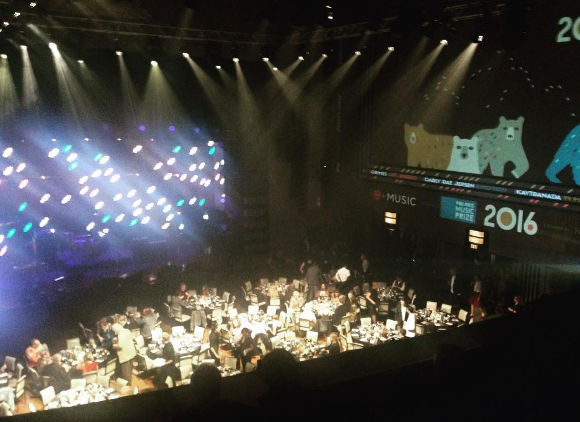 Polaris Gala Review: Kaytranada Wins! On Monday night, the music industry gathered at the prestigious Carlu to award the coveted $50,000 reward that is also known as the Polaris Music Prize. It was a night unlike others, one where the music industry – artists, label people, a&r types, publicists, and media put aside all their petty bickering and differences to celebrate what really brought everyone here in the first place – good music. This was my first time at the Polaris Gala so I wasn’t sure what to expect. What I got was an enjoyable time filled with music, friends and food. It was a pleasant surprise to see that the Polaris Prize Gala had plenty of free food in the form of pierogis, sliders and some sort of weird chicken thing that didn’t really work. I thought the pierogis had a bit too much dough, but beggars can’t be choosers, especially in the music industry. Just in case you thought you were some really fancy gala, a quick trip to the not-open bar was enough to hit you with the crippling reality that the Canadian music industry is probably just barely scraping by for the most part. The show was broken up into a series of performances and some celebrity testimonies in between. It was a different format from previous years, but for me, it worked somewhat well. There was no awkward blogger giving speeches, but as with any televised/streaming events, the commercial breaks were enough of a distraction to break the flow of the night. Still, one can’t complain about the performances. Here’s a quick recap of those too. Black Mountain – Started the night off right with a mesmerizing performance amidst a black and red backdrop. Jessy Lanza – The opening note to her set I’m pretty sure pierced my ears and made it right to my brain and I’m going to go deaf one year earlier because of her. Regardless of that, her set along with the video game/Japanesey inspired backdrop was a dose of energy. If I wasn’t sitting up on the balcony, I would have definitely considered dancing a bit. Andy Shauf – I was probably on my second wine of the night after a few beers, so Andy Shauf’s mellow alt-folk type of music wasn’t really working for me. His nomination was supported by Jeff Tweedy, which kinda swayed my opinion from negative to just slightly negative. Basia Bulat – Supported by the TSO, Basia played a nice pleasant set, but nice and pleasant doesn’t really get you the Polaris Prize. White Lung – Probably the loudest set of the night, it was at this point I was wondering how many people here are going to lose their hearing in the next fifteen years. Carly Rae Jepsen – Playing one of the best songs off her album, “Your Type,” Carly came, saw and conquered. It was a heartful, slower rendition then the version of the album which made it seem more powerful. Sadly, she only did one song because she’s a pop star. My 2nd favorite performance of the night, but Carly was my favorite artist of the night because they didn’t drink much and we raided her table after the show for all her booze and cheetos. The vultures descended. US Girls – By far the best performance of the night. I came into the night not knowing too much about US Girls and left a fan. The first track was simple, with Meghan Remy singing whilst being supported by a group of girls but it was hella good. The rest of the band came out for the second song which turned out to be Yoko Ono’s Born in a Prison which was equally awesome. Afterwards, they awarded the prize and it went to Kaytranada, which is cool. I would have preferred a reality show type format. Here is how this should work. All the artists are there. There is a curtain, in the background the stage is being set up for the band … but what band? Some random CBC pseudo-celebrity comes out with an envelope. They pull out a name. That band did not win. Now they have to perform. And this repeats itself. Can you imagine how exciting that would be? And then in the last two bands, they set up the stage with BOTH of the bands equipment. And then they announce the winner and then both acts have to play. Anyways, I’m probably not a show producer for a reason. Can’t wait til next year when A Tribe Called Red wins it. Yesterday might have been the Emmy’s but that award’s importance to the world dwarfs in comparison to what is going to happen tonight. Tonight, my friends, is the Polaris Music Prize, by far the most prestigious award rewarded in the world of music in Canada. Why is it more prestigious? 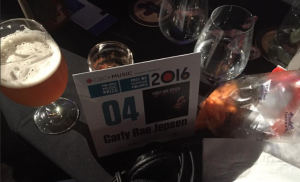 for one, the Canadian music industry is damn poor so you know for a fact that this award cannot be bought. Anyways, the question on everyone’s minds – who will win? Kaytranada – 99.9% – Doesn’t like to give press interviews. GUEST WHO IS VOTING FOR THIS PRIZE? People who make money off interviews. Jessy Lanza – Oh No – Jessy built up a huge following this year, but will somehow get lumped into a conversation with Grimes, which she will most likely lose. Andy Shauf – The Party – Find me the last time someone named Andy won anything. U.S. Girls – Half Free – Duo citizenship is bound to confuse some people. Black Mountain – IV – Haha, as if any east coast jurors will give any more reasons for people from the west coast to brag. Will anyone from Vancouver win? doubt it. Basia Bulat – Good Advice – I feel like Basia is the Susan Lucci or Jon Hamm of Polaris. She will win some day, but not this time. Maybe in a few years. Heavy rockers both put out impressive albums this year and it’s been awhile since rock albums have entered the Polaris conversation. Still someone is bound to point out that Pup used to be called Topanga! after which everyone will laugh and move on. White Lung can’t win because of my theory that west coast bands will not win because everyone on the east coast hates Vancouver because of their temperate climate, escalating housing prices and obsession with all things outdoors. These two ladies are the two I would put my money on. Both artists put out fantastic records that was near the top of everyone’s 2015 lists. Grimes has the added edge in that she meshes elements of multiple genres into her album and brings forth a unique sound. Carly is just pop perfection. How many weirdos are in the grand jury? We’ll find out. 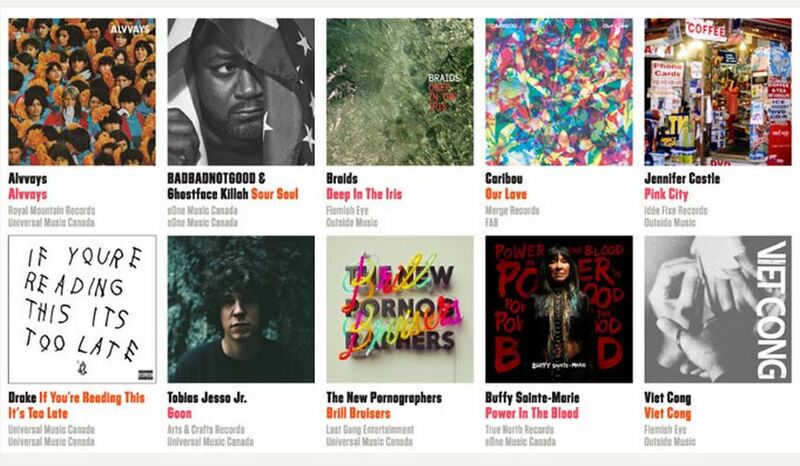 Polaris Music Prize 2013: We (and guests) predict the short list. At the prestigious Drake Hotel on a sunny Tuesday morning, ten Canadian music acts will see their lives forever changed. The Polaris Music Prize will name their shortlist for the year 2013. The ten bands on the list will see their popularity surge, become mini celebrities and do the whole Canadian talk show circuit of Rick the Temp and Mike Bullard. They’ll be regaled with praise while the bands that didn’t make the list will be left retreating back into their basement apartments to lick their wounds. So basically, if you are French or already popular, you have a pretty good shot at winning. As is our yearly tradition, we have hastily made some predictions on who will be on the short list this year. We also asked some friends to make these predictions as well. Most of them ignored us though. Still, some people proved to be worthy friends. These albums all made me feel something whether it was laugh, cry or get up and dance. A Tribe Called Red – they seem to be a very buzz worthy band and have only gained momentum since the last time they were nominated. Kind of like Jennifer Lawrence, only opposite in appearance. Hayden – Probably locked down the female voters who just want to be in the same room as him at the Carlu. Lee Harvey Osmond – Just so Grant Lawrence can make corny Lee Harvey Oswald jokes. Metric – Judging by the previous winners, it is probably their turn. Purity Ring – Just so kids with laptops can feel good about themselves. Tegan & Sara – Ridiculously catchy pop music whose single “Closer” had my friend confused for Shania Twain. Whitehorse – It’ll be nice to have a husband-wife duo at the Polaris who are actually still together.